Paul Morley: “I didn’t want them to be called… ‘cassingles’, because they were obviously ‘singlettes’. 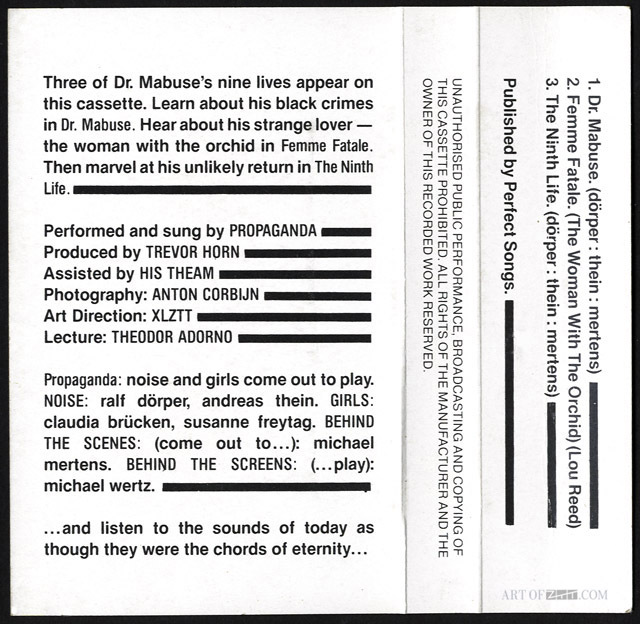 How had we ended up with ‘cassingles’? It’s such an ugly word but ‘singlette’ is a lovely word! (laughing)”. 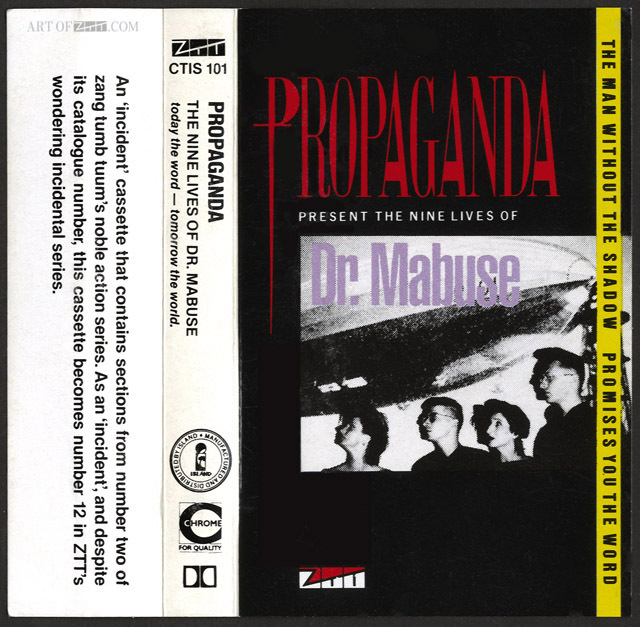 artist: Propaganda title: Dr Mabuse format: Cassette design: XLZTT photography: Anton Corbijn illustration: n/a cat. 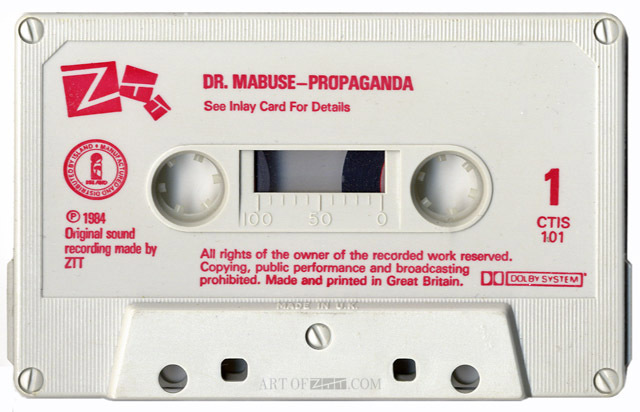 no: CTIS 101 date: ?/03/84 art of notes: It’s not known exactly when the cassette version of ‘Dr Mabuse’ appeared but estimates place it somewhere between March and April ’84 along with the Art of Noise ‘Into Battle With…’ cassette.